He&apos;s chubby, he&apos;s funny, and he&apos;s gay! But he&apos;s still a good child that way. 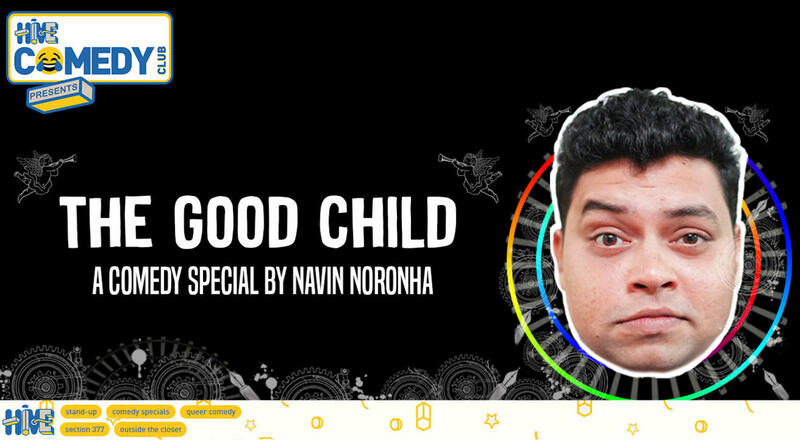 Caught in a constant limbo between emotionally vacant and sentimentally charged, Navin W Noronha comes armed with a Bachelor&apos;s degree in not following through with his life goals. But this comedy show is the one thing that has stuck around and has been in the making for the past four years. His life so far has been a series of coming out of various closets and it just gets bizarre with each level. But it&apos;s all coming together now, or rather it&apos;s all coming out now.